Taylor Swift’s “Reputation” has released and fans are going crazy for it, they have every reason to. The powerful vocals, that have been the key to each one of Swift's albums, are magnificent, but they have evolved. From beginning to end “Reputation” is an ode to the emergence of a more fierce and confident Taylor Swift. If there were any expectations by fans based on the singles released to tease “Reputation,” the album exceeds them all. There’s a distinct style to “Dress” which, although it sounds familiar to songs off “1989,” is still more complex and the growth of Swift is heard throughout. “This is why we can’t have nice things” follows up “Dress” and the mood and style changes, but still fits just wonderfully. The track list on this album is seamless and yet each song has its own style. Swift has said goodbye to the young country woman style with “1989,” but “Reputation” puts pop in her hands and she molds it to her will. “End Game” has a beautiful pop/hip-hop feel which is catchy, empowering and charming. Ed Sheeran and Future compliment the vocals and complete the just incredible song that “End Game” is. “...Ready for it?,” “Look What You Made Me Do,” “Gorgeous” and “Call it what you want” are great songs, but the song arrangement of “Reputation” is spot on to prepare the listener for the style, tempo and emotional changes through the album. No, fans were definitely not ready for this. Fans could not have dreamt just how marvelous “Reputation” would be. Each song is passionate, vulnerable, confident and distinct. Showing no fear, “Dancing with our hands tied” concretes the album’s personal message of Taylor Swift accepting and taking responsibility for actions while confidently stepping out of her former self. “Gorgeous” is a magnificent song which shows off just how well Swift has adapted to the pop genre. “Reputation” is out now everywhere. The songs on this album are not anthems of heartbreak, it’s now a look into how powerful Swift has become. 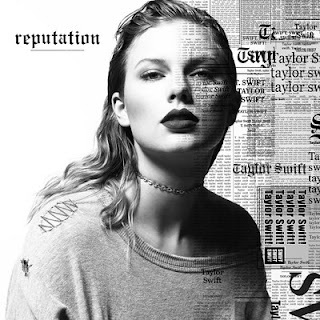 The vocals still take center stage, but the best part of “Reputation” is how beautifully different it is, not only from other Swift albums but from much of the music out today. “Reputation” cannot be compared, no description can do it justice. It needs to be listened to from beginning to end with no breaks.